C.J. 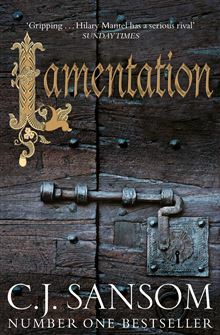 Sansom’s series with Brother Shardlake is excellent. I was lucky to ead all the other books, and this one is the icing on the cake. The descriptions are so vivid that I felt I was there when the grossly obese Henry VIII was manoeuvred into his castle via an intricate system of pulleys and lifts. And his last Queen, Catharine Parr, didn’t have a happy life after he died, even though she would have deserved better. I very much hope that C.J. Sansom will manage to find some further employment for Brother Shardlake. In any case, he’s already signed allegiance to Lady Elizabeth. She’s only 14 years old, but I am waiting and hoping.